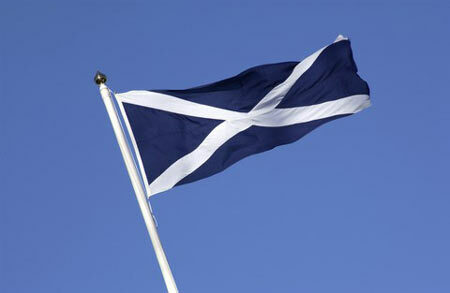 The Scottish rental market is booming, as new figures released by lettings agent network, Your Move, have revealed. Whilst the UK rental sector is currently witnessing growth overall – 41% of landlords surveyed by Paragon Mortgages said that they thought demand was growing – the Scottish market specifically is far outperforming that of England and Wales, registering a 2.2% increase in average rental prices year-on-year, from £526 in October 2013 to £537 in 2014. The ‘Scottish Buy-to-Let Index’ has shown that this compares favourably to England and Wales’ 1.5% average rental price growth over the course of the last year. In fact, Scottish rental rates have been moving in the right direction for landlords since October 2011, when they stood at £507 on average. This figure, 5.9% lower than today, has increased each year since to the healthy figure of today, figures that the report says ‘are currently rising faster on an annual basis than across seven other UK regions’. “With the Referendum uncertainty behind us, there is now an increase in tenant demand in Scotland, along with additional instructions from new and existing landlords. With the majority of landlords non-resident, purely buying as investors, in light of the recent clarification of the Scottish Government’s new powers, it is anticipated that increasing numbers will now have the confidence to invest for the future. The impact of the improving figures has led to a total annual return for a Scottish landlord on an average rental property of 8.9%, up from 4.2% in October last year. Whilst undeniably impressive, these figures are down marginally on the peak figures of June 2014, when total return stood at 9.4%. It is therefore important for landlords to continue to consider what they can do to make the very most of their property, their investment asset. Follow the market closely to identify future growth areas. For example, new companies setting up in new areas requiring incoming workers and in turn accommodation, the development of new hospitals, Government relocations. Compare your property with local competition. Well maintained, decorated and up-to-date properties are always more desirable and tenants will be willing to pay that little bit more. Do not assume that the best returns come from ‘executive flats’. Many tenants have children who are looking for long term rentals, front and back doors with gardens close to schools. In many areas these properties generally cost less to purchase but achieve higher rents. Look on your income not as a rent per month but annually. I know of many experienced landlords who offer quality properties at slightly lower rents but usually let them very quickly to quality tenants who stay for a longer tenancy. Their void periods are reduced to a minimum and annual income is therefore increased. Consider whether you could rent to tenants with pets – very few landlords are providing suitable accommodation and therefore this can command a premium. Ensure your property is up-to-date with all the required media channels. A property without Skyplus or poor mobile signal will be an important issue these days for those looking to rent.